Join us on Easter Saturday, 20th April at 2pm for a free afternoon of fun, games and food for all ages! We will meet at the church at 2pm for a short act of family worship which will be followed by an Easter egg hunt, riverside walk, field games, Bouncy Castle, trips up the tower and a free BBQ. 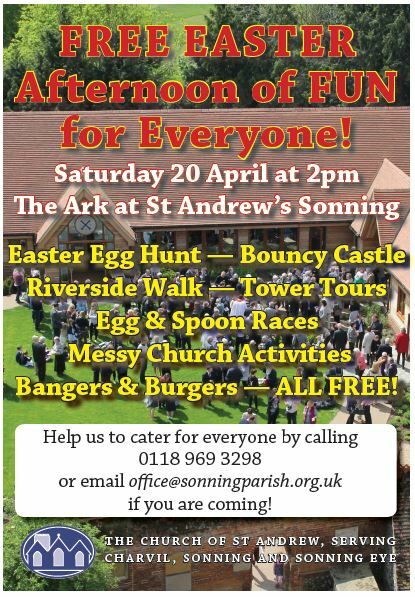 Please email the parish office office@sonningparish.org.uk to book your place for the BBQ or call 0118 969 3298.